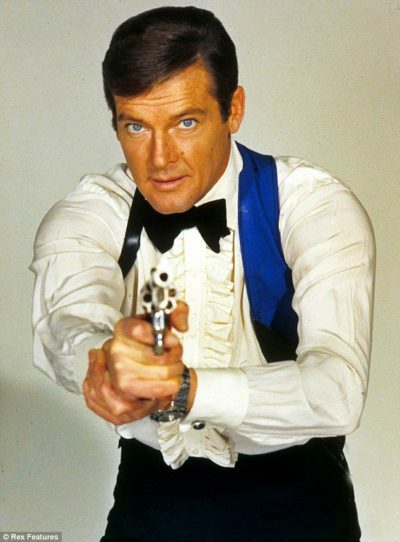 They say that your first James Bond is always your favorite and I think there’s some truth to that. My first Bond movie was Live And Let Die, as seen on the ABC Sunday Night Movie sometime in the mid-70s. I was utterly unprepared for a movie like this, and blown away by how bonkers it all seemed. Here’s this suave, handsome and sort of effete British guy making espresso in his kitchen one minute, then the next he’s in Harlem investigating a drug dealer right out of a Blaxsploitation movie, Dr. Kananga (the great Yaphet Kotto). He meets up with the gorgeous tarot card reader named Solitaire, played by Jane Seymour. From there it’s down to New Orleans, where Bond escapes by jumping across the backs of real alligators (no CG or alligator dummies), followed by an insane jet boat chase. Then it’s off to the Caribbean to kill Kananga, and a climactic battle with Baron Samedi (Geoffrey Holder). The whole thing is just nuts, in the best possible way, and Moore anchors it all with a little smirk that lets us all know he’s in on the joke. But one thing I really love about Live And Let Die is the glimpse into 007’s home life. M arrives unannounced early one morning, while Bond has a young hottie in his bed. Trying to hide his indiscretion, Bond ushers M into the kitchen for some coffee, allowing us a look at his culinary decor. My absolute favorite detail is the copper rooster molds on the wall. Is that really something a sophisticated British super spy would have on his wall? I can’t see Sean Connery’s Bond with that but Moore’s Bond just seems to enjoy the homey comforts. Another great detail in this picture is the groovy circular spice rack on the left wall. I wonder if it rotates? I suspect it does, so you can move the bottle you want to the bottom and unscrew it without spilling. 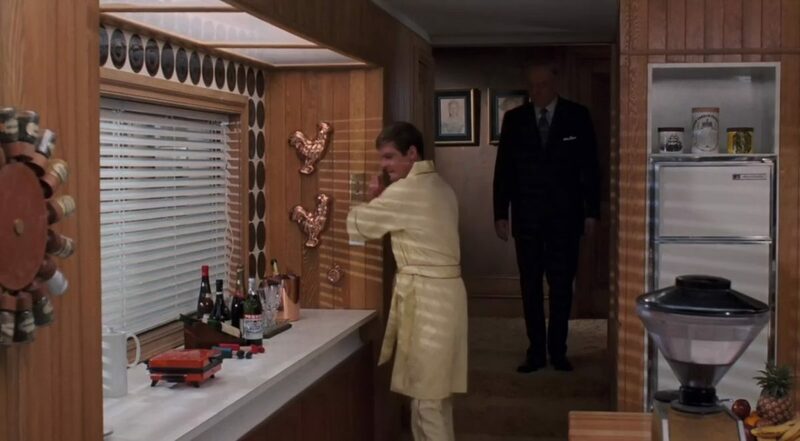 We also see 007’s waffle iron, a couple of matching corkscrews and the requisite bottles of booze. Looks like some champagne, possible some brandy, and a very large bottle of Pernod bitters. This isn’t Bond’s bar, of course. In another scene we can see a nice set of crystal bar ware on a cabinet in his living room. I like to think this is what he drinks when he’s cooking, and maybe one of those bottles is some nice cooking sherry for when 007 wants to impress a date with an Andalusian paella. 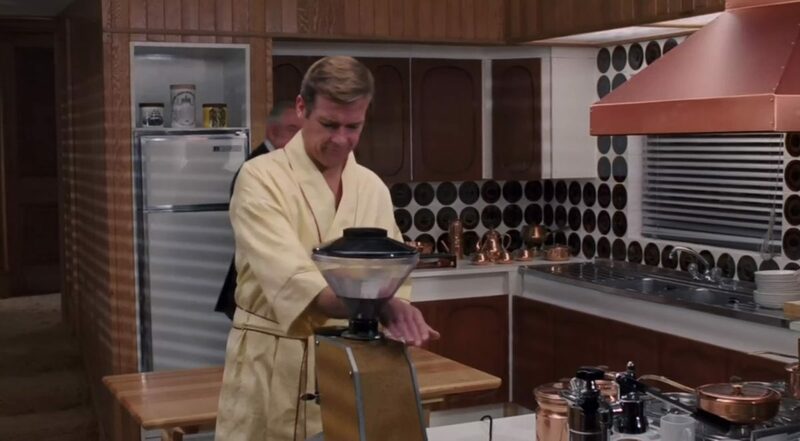 Bond also has a groovy coffee grinder right in the center of the kitchen. In this scene he grinds up some beans and uses a little espresso machine to press it out, then adds a little milk and uses the built in steam to froth it, while M looks on in bewilderment. In the background we can see more copper cookware, including a very 70’s fondue set. The fridge is fairly small, as they tend to be in Europe. It’s topped with a few decorative tins with a nautical motif, reflecting 007’s time in the Royal Navy. I expect one would find some oatmeal in one of those tins, and perhaps some mild biscuits for tea. Here’s Roger Moore as Bond in the scene that made me a Bond fan for life. 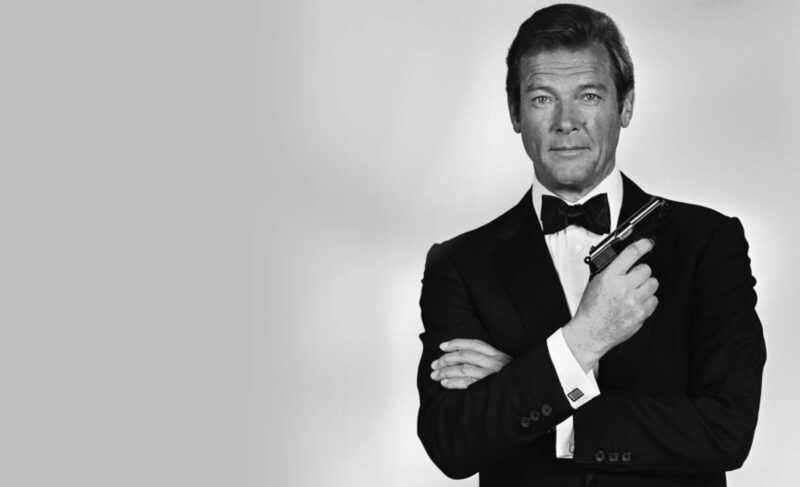 Rest in peace, 007. Amazon carries the amazing Ultimate James Bond Collection, all movies up to Skyfall on Blu Ray, with a ton of extras. It’s a little pricey but they run sales from time to time, or you can just buy the movies individually. I think it’s worth the price for a true fan, I’ve rewatched almost every Bond movie, many more than twice.